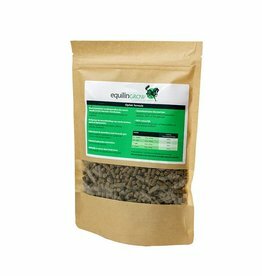 Feed formula for youngster to grow into strong and healthy adult horses and ponies. To raise animals solely on forage is unwise and will lead to horses having joint- and health problems at a later stage in life. To grow up in a healthy way for young horses and ponies costs a lot of energy. Also plenty of good proteins and the right phosphorus/calcium balance are required. Besides that the dietary intake of copper, selenium and zinc is essential. These are the essential building blocks to build a strong and healthy horse. This is where it often goes awry. Feeding just forage (be it grass, hay or haylage) does not give the youngsters the building blocks to grow up healthily. Copper is necessary for the development of healthy joints. Until 3 months of age the foal will receive copper in the mare’s milk, hereafter she needs to get it in her diet. Calcium is necessary for the development of strong bones. However, only when there is a balanced supply of phosphorus and magnesium as well in the feed, calcium can be absorbed in the intestines. For young animals we ideally would like to see a calcium/phosphorus ratio of 1:1 to 1:3. Proteins are necessary to ensure proper growth of muscles and tissues. Lysine and methionine are the most important amino acids (the building blocks for proteins) to build the muscles and tissues. For young animals it is important to receive sufficient supplies of vitamin E and selenium with their dried forage, to prevent the occurrence of White Muscle Disease.